Like other districts, Khagrachhari District Government Public Library also celebrated the national library day. On the occasion (February 05), the procession went to the library from the public library of the district and then came back to the library again. 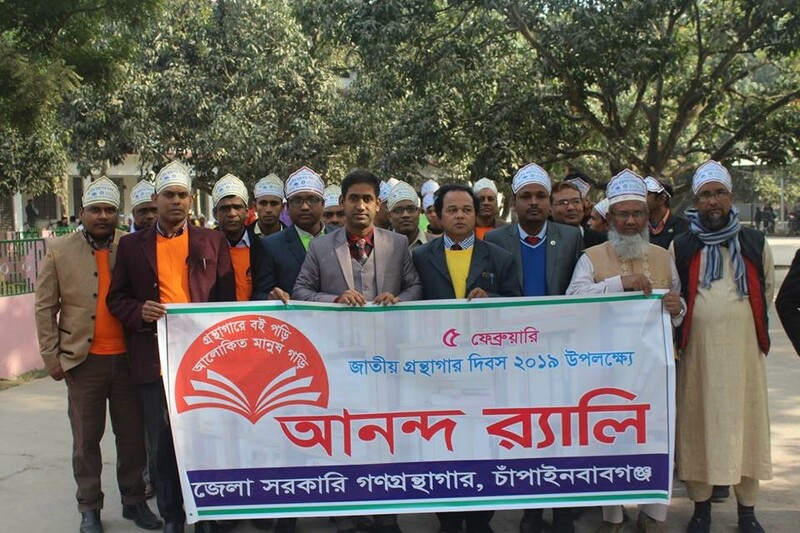 Several libraries from different upozilas, including government libraries of the district, took part in the procession. At the end of the rally, discussions and prize distribution were held at the Khagrachari District Government Library. Khagrachari Hill District Council Chairman Kangjari was the chief guest in the program and Khagrachari District Executive Officer Titon Khisar chaired the discussion. Additional SP, Superintendent of Police, MM Salahuddin; Principal of Khagrachari Government Women’s College, Mohammad Shah Alamgir; Khagrachari Hill District Councilmember Jewel Chakma were also present in the program. Khagrachari District Public Library Officer Oen Chakma delivered the welcome speech to the guests. Khagrachari Press Club President Jiten Barua, General Secretary Abu Taher Mohammad, District Shishu Academy Officer Ushanu Chowdhury, civil society members, students and parents were also present. The Chief Guest said that ‘to provide good education to the present generation, it’s not only the teacher’s roles but also the guardian and the managing committee’s roles. Currently, there is no alternative to education. He also said students should not be limited to textbooks only they should do something good to know about other contents. If you want to know about other content, you will have to read different authors’ books’. After the discussion meeting, Kangri Chowdhury and Special Guests distributed winning prizes. 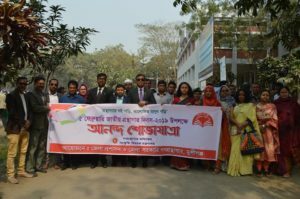 On February 5, “National Library Day-2019” celebrated with great enthusiasm in Moulvibazar district. 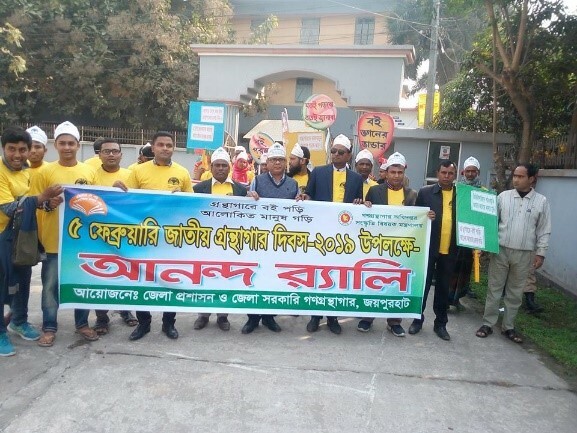 As part of this arrangement, a colourful rally was organized in the district administration and district government public library, Moulvibazar. The rally started from the office of Deputy Commissioner of the district at 9:30 AM. 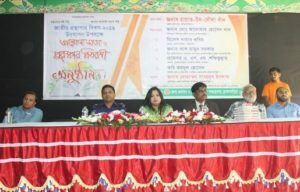 The National Library Day-2019 was celebrated in Cox’s Bazar with the theme of National Library Day, 2019. The librarian Rishi Paul of District Public Library organized a day-long program. Administrative officers from different Govt offices, journalists, readers and students attended the program. At the beginning of the day, a grand procession was started from the premises of the Deputy Commissioner’s Office and after completing various roads, the rally was ended at the district government public library. Then a discussion meeting and award distribution program began in the library auditorium. 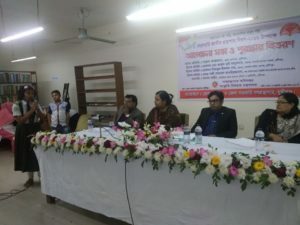 The Librarian, Rishikesh Paul, District Public Library, presided over the program in the presence of Additional Deputy Commissioner (Education and ICT) Mohammad Ashraf Hossain. Acting Civil Surgeon Dr Mohiuddin Md. Alamgir, journalist Mohammad Ali Jinnat, district child affairs officer Ahsanul Haque and Assistant Superintendent of Police (Traffic) Babul Chandra Bani were present as special guests. Public officials of different departments including administrative officials, students and readers took part in it. The debate competition was also organized on the occasion of the National Library Day. The students of various school-college madrassas participated in this competition. 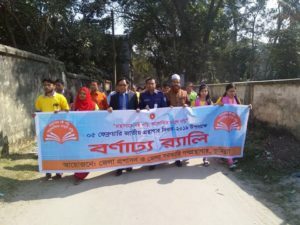 On the occasion of the National Library Day, 2019, a colourful rally started from the office of the Deputy Commissioner’s office in the morning and ended at Barguna District Government Public Library premises. 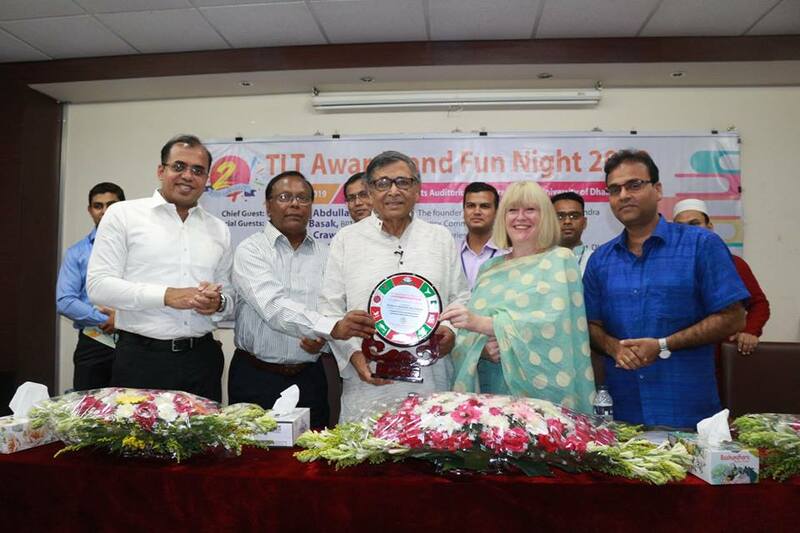 Deputy Commissioner Mr Kabir Mahmud was the chief guest in that event. Barguna Government College Principal Professor Abul Kalam Azad; Additional District Administrator, Mr Md. Mahbubul Alam; Executive Engineer Mr Abu Zafar; District Education Officer Mr Md. Shahadat Hossain; Assistant Superintendent of Police (Sadar) Mr Md. Mehdi Hasan Shatil; Barguna Government Women’s College Assistant Professor Mr Mohammad Manzurul Alam; District Primary Education Officer, Government-Senior Officers and Officers, including the Heads of Education Institutions, and the students and the teachers participated in this program. On occasion, 38 participants were given certificates and prizes. 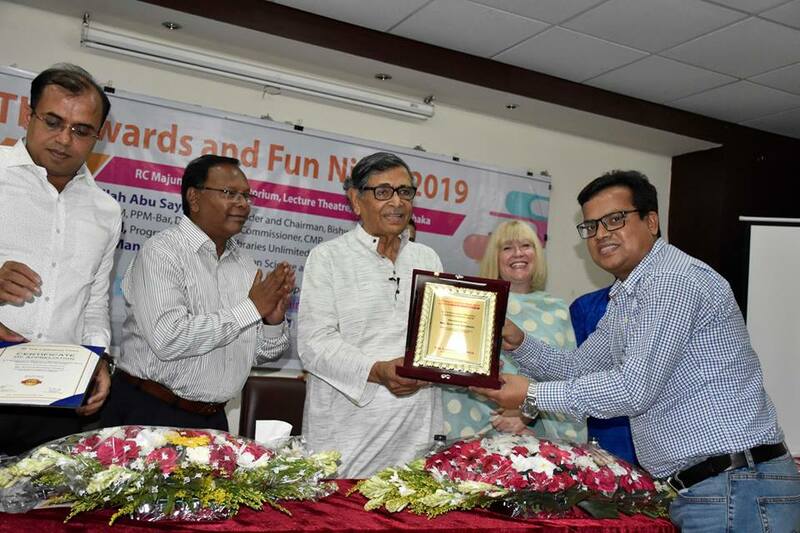 To celebrate the National Library day 20019 District Government Public Library Habiganj arranged a discussion meeting and prize giving ceremony. 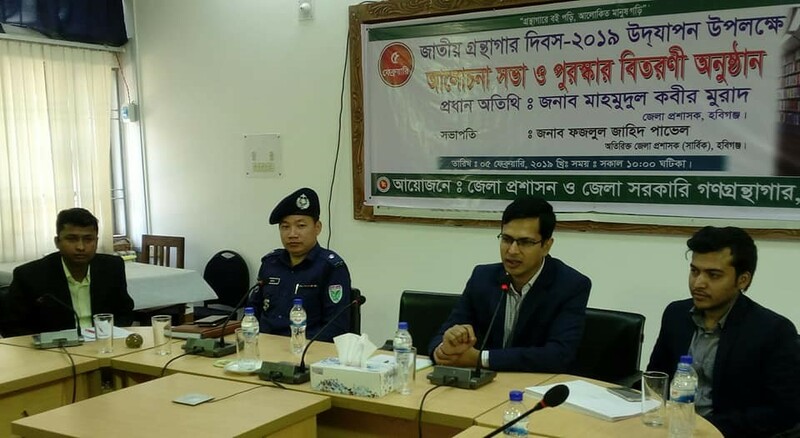 Habiganj district, Additional Deputy Commissioner (Global) Mr Fazlul Zahid Pavel was present as the chief guest while Police Super Shailen Chakma was present as the special guest in the event. The Librarian of District Government Public Library, Md. 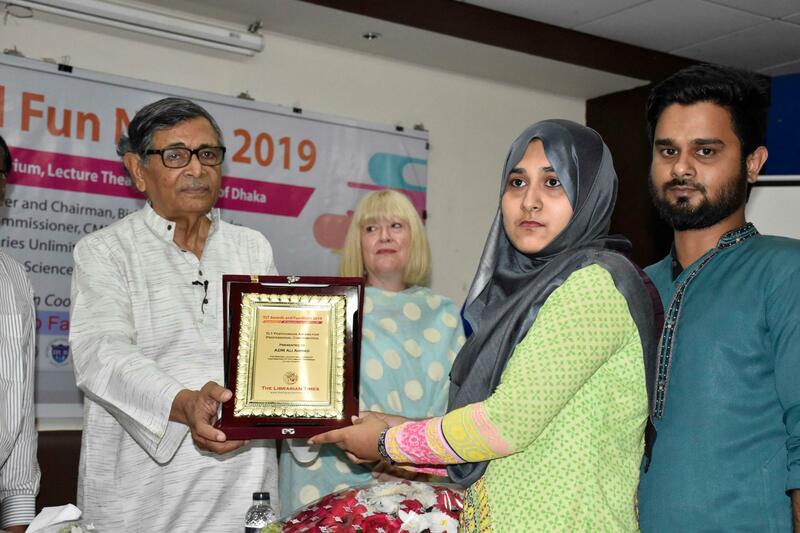 Saiful Islam, Library Professionals, representatives of civil society, representatives of various NGOs, journalists and teachers and students were present in the program. 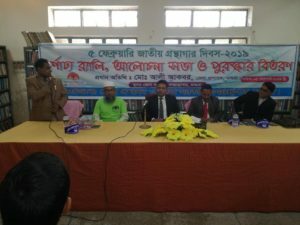 A rally, discussion meeting and prize distribution ceremony were held organized by District Administration and District Government Public Library, Satkhira on the occasion of National Library Day-2019 on 5th February. 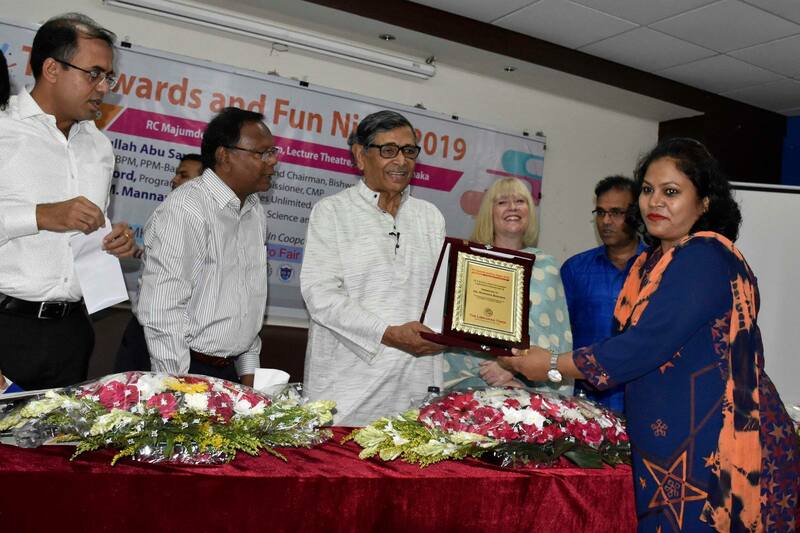 Deputy Commissioner, Satkhira Mr SM Mostafa Kamal, as the chief guest and president Ms Anindita Roy and Additional Deputy Commissioner (General), Satkhira were present in the ceremony. 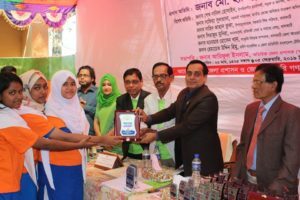 There was also a Debate Competition organized between Satkhira Government High School and Satkhira Government Girls’ High School on the occasion. 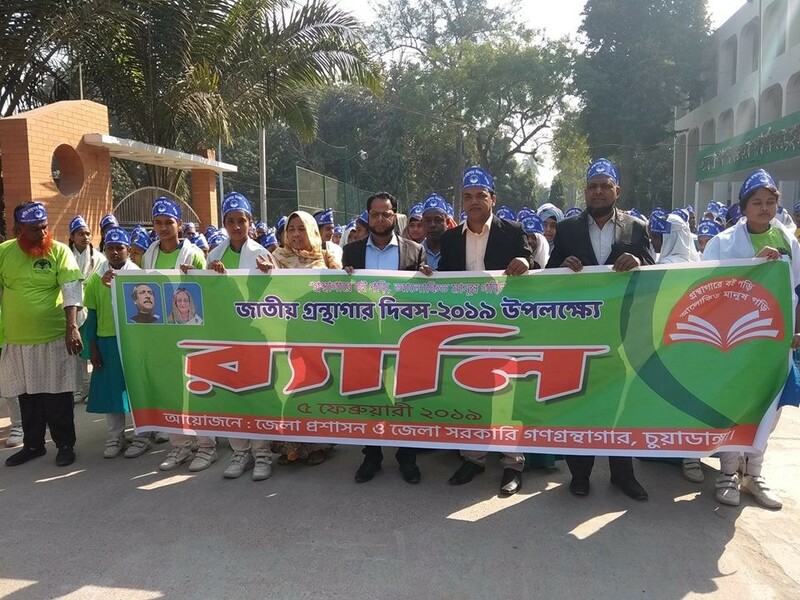 District Administration and District Government Public Library, Chapai Nawabganj jointly celebrated the National Library Day-2019 on 5th February with a spectacular joy rally. The rally was also attended by executive engineers, Public Works Department; Deputy Director, Local Government; Additional District Magistrate, Proctor, Exim Bank Agricultural University Bangladesh, Chapai Nawabganj; Additional Deputy Commissioner (Revenue), Additional Deputy Commissioner (Education and ICT, Additional Deputy Commissioner (General), NDC; Lecturer, Bangla Division, Government Technical School and College; President; Bangladesh Library Association, Chapai Nawabganj Branch; Head of various government departments, library professionals; Teachers and students of different educational institutions and readers of different classes and occupations participated. After the rally, a discussion meeting was organized at the public library’s own auditorium. The meeting was chaired by the Librarian of the Public Library. All the special guests, including the chief guest at the discussion meeting, spoke about the importance of education in books, libraries and lifelong education. Day-long activities including rally and meeting were organised at Chadpur on The National Library Day 2019. In the meeting, Deputy Commissioner (overall) Mohammad Shawkat Osman spoke as the chief guest. He said that people will have to read the book and come to the library to give thought to the new look of consciousness. The best creatures of creation do not have the option of reading books in the library to develop their talents. He also said that there can be no substitute for a library for knowledge management. To make myself enlightened and to develop knowledge, I invite all to come to the library and read the book. 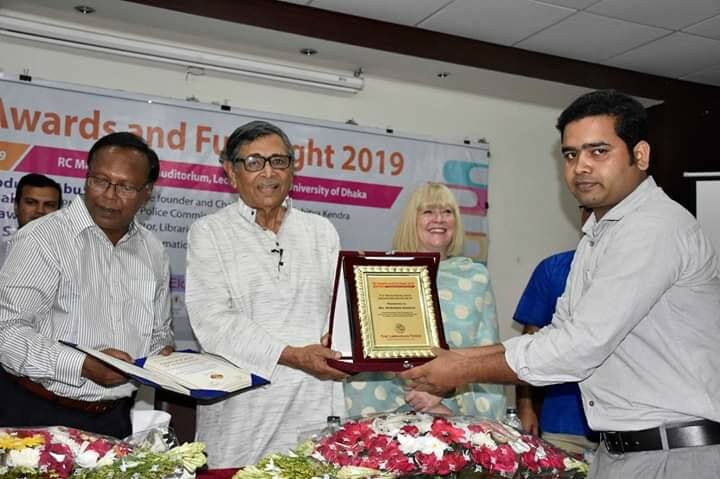 In the speech of the president, Librarian Chandpura Saha of Chandpur Government College said, “Who lacks creativity is deprived of many things.” So if he goes to the library and read books in the age. Then it can be possible to fulfil its human behaviour and dreams quickly. For this, we have to read different famous books even though they are a little bit. He also said that books are very beneficial for people to grow their own qualities. And it is necessary to read books to allow your own mood. There are many books in the library which can fill the readers’ minds. During this time, he invited everyone to come to the library to build a beautiful Bangladesh and read the book. 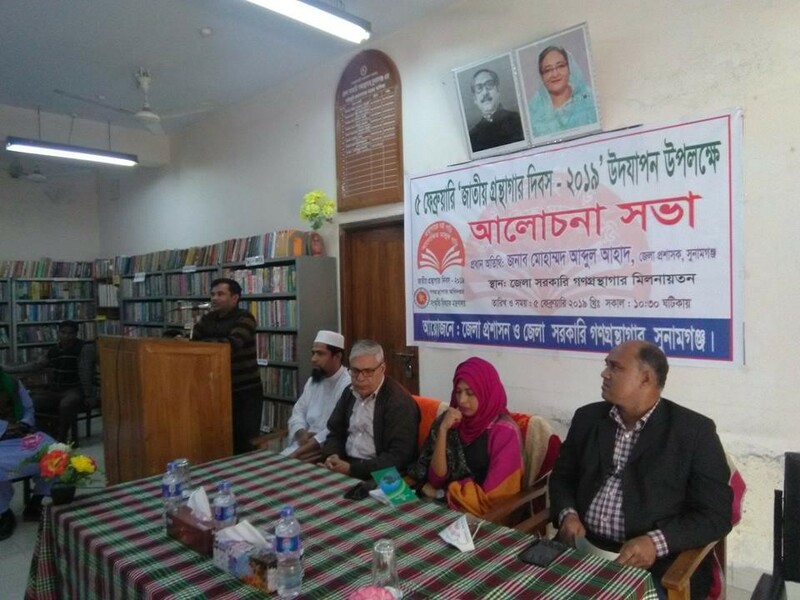 Librarian Iqbal Ahmed of District Public Library, addressed the function, Chandpur District Library Association President Mohammad Nazrul Islam, General Secretary Mohammad Arif Billah, Librarian Jharna Mandal, Meher Degree College librarian reader Khaled Faisal, among others were present in the program. 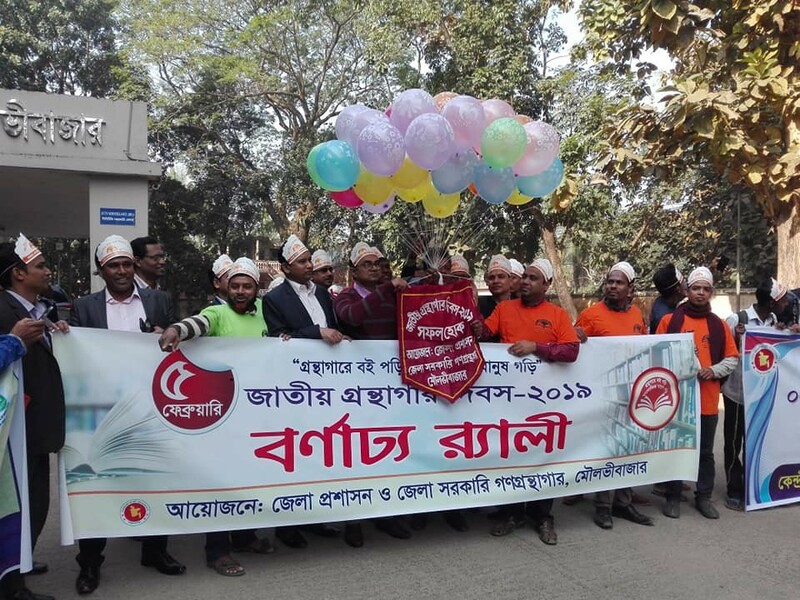 To celebrate the National Library Day 2019 day-long activities were organised at Comilla on 5 February. 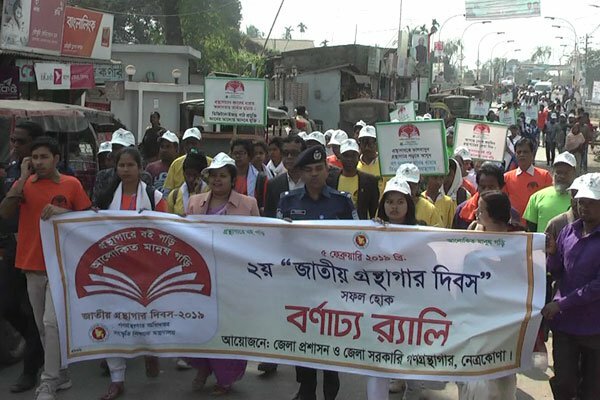 A colourful rally was started from the District Shilpakala Academy and ended at the district government public library. 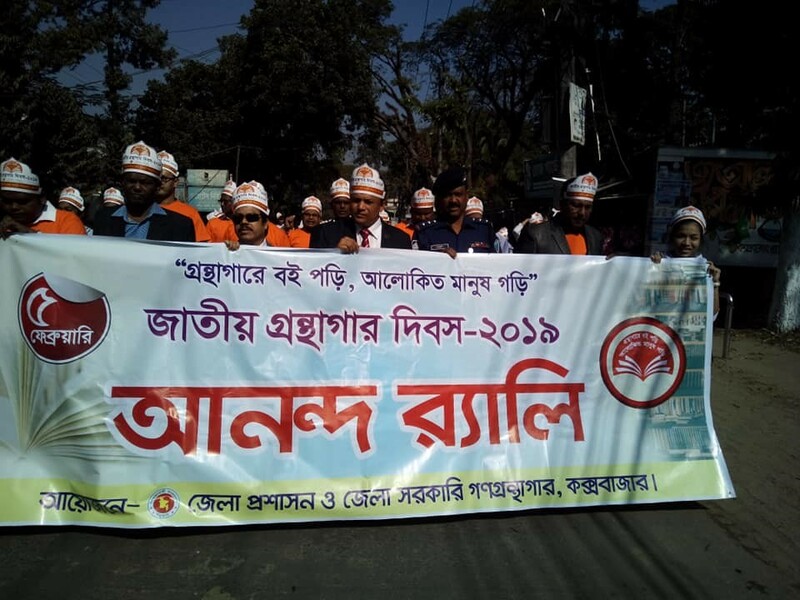 Comilla’s Additional Deputy Commissioner (Education and ICT), Superintendent of Police (Acting), District Education Officer, Head of different educational institutions of the district, students, journalists and library professionals, regular readers participated in the rally. Then a discussion meeting and prize-giving program were held in District Auditorium of the District Public Library. To celebrate the National Library Day 2019, District Government Public Library, Jhalokati arranged a rally and quiz competition on February 05 in Jhalakathi. District Deputy Commissioner and other high officials participated in the rally. Then a discussion meeting and prize-giving program were held. 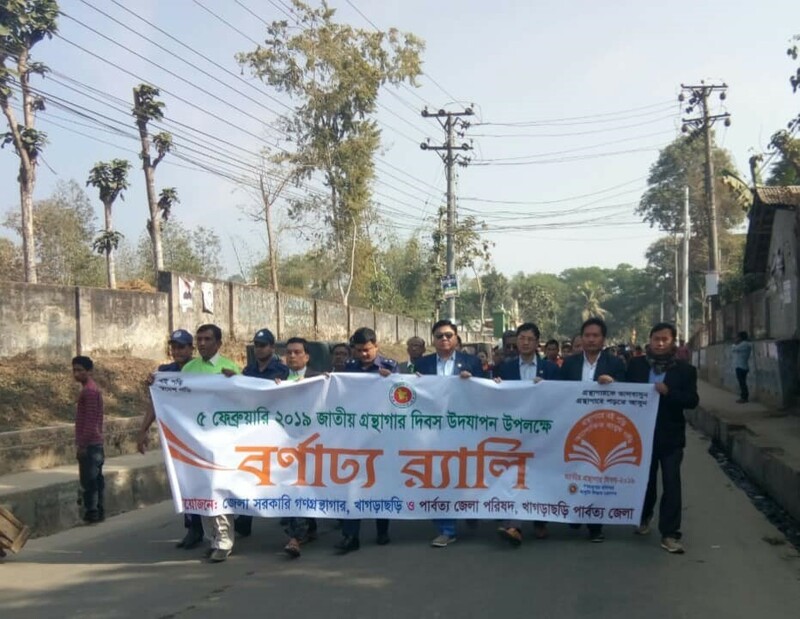 The National Library Day-2019 celebrated in Sherpur by organizing a rally, discussion meeting and prize distribution ceremony. As part of the national event, in the morning, a colourful rally ran out from the collectorate premises and ended at the district public library. 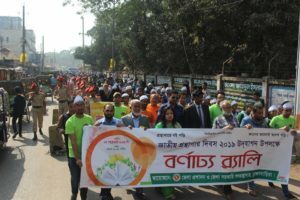 Sayeed A.Z, Morshed Ali, Additional Deputy Commissioner (Education and ICT) and Mohammad Billal Hossain, Additional Police Super, among others participated in the colourful rally. A discussion meeting and prize distribution were held at the public library auditorium after the rally. 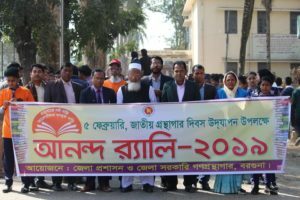 To celebrate the National Library Day 2019, District Government Public Library Munshiganj arranged a colourful rally with joy and prosperity. 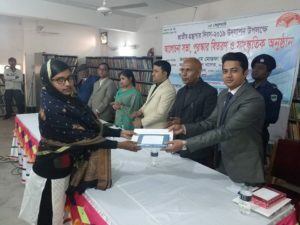 The second phase of the program organized by District Government Public Library, Munshiganj where writing competition, recitation books, quiz competitions and prize distribution were held. 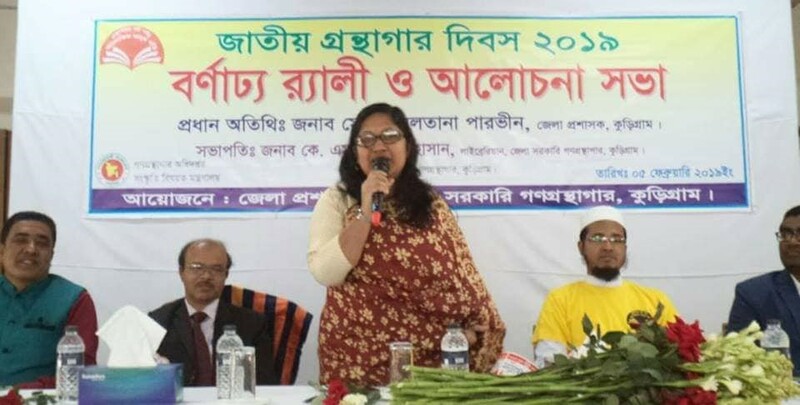 Ms Shaila Farzana, District Commissioner of Munshiganj was present as the chief guest in the occasion. Professor Md. 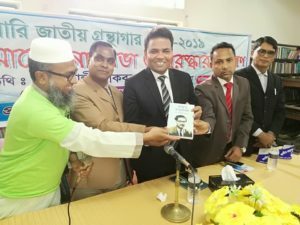 Abdul Hai Talukder, principal, Government Horganga College; Professor Sirazul Islam Khan Principal Government Mohila College and Major Gazi Mohammad Tauhiduzzaman were present as the special guests in the program. Ms Asma Shaheen Additional Deputy Commissioner (Education and ICT) acted as president in the ceremony. 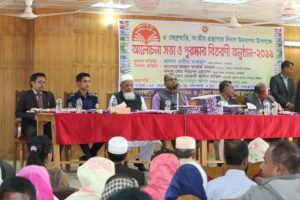 The National Library Day’ was celebrated in Sunamganj, with the theme, ‘Reading books in the library, creating enlightened people’. On this occasion, a rally and a discussion meeting organized jointly by the district administration and district government public library on Tuesday. After the rally, a discussion meeting was held at District Auditorium of the District Public Library. The meeting presided over the reshuffle of Sunamganj Government College’s Principal, Parimal Kanti De. District Magistrate Farjana Akhter Bobby was present as the chief guest in the event. Professor Noor Mohammad, Associate Professor of Sunamganj Government College and Md. Moshiur Rahman, Lecturer of Government Dighendra Barman Degree College were present as special guests. Anisur Rahman, the junior librarian of the district public library Sunamganj, delivered his welcome speech. District Child Officer Badal Chandra Barman was also present in the program. 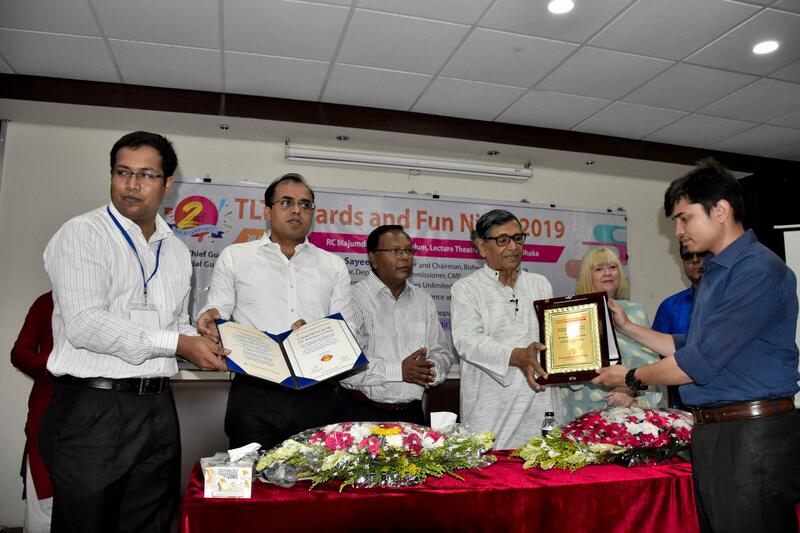 The National Library Day-2019 celebrated in Brahmanbaria by organizing rallies, discussion meetings and prize distribution ceremony. Apart from this, a colourful rally was arranged in the district. Later on, a discussion meeting was held where Md Hayat-Ud-Dowla Khan, Deputy Commissioner of the district was present in the program as a chief guest. Md. 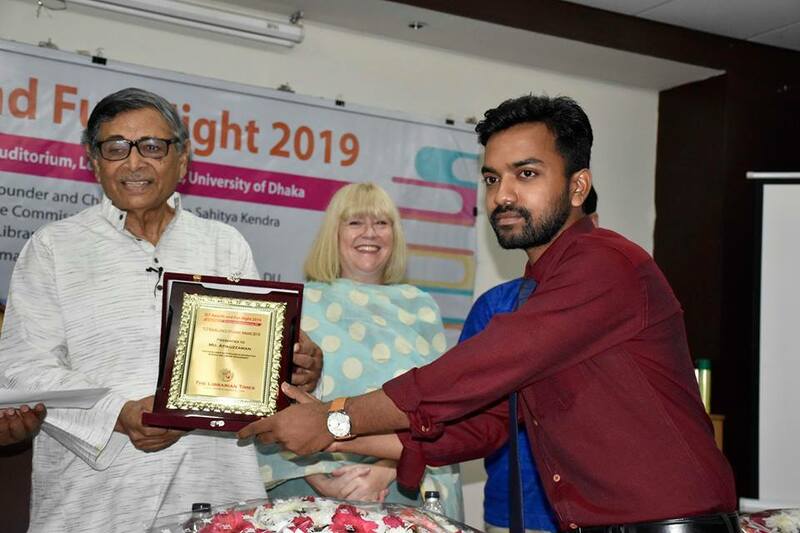 Anowar Hossain Khan, Police Super; Nayer Kabir, Mayor; Al-Mamun Sarkar, Professor A.S.M Shafiqullah and the poet Joidul Hossain were present as the special guest in the ceremony. Md. Shahedul Islam, Additional Deputy Commissioner acted as the President in the award functions. 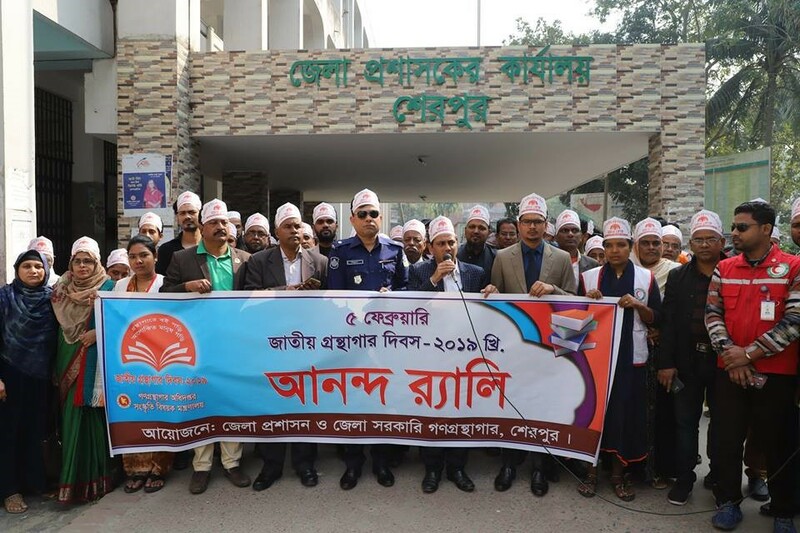 Kishoreganj district administration and district government public library also celebrated National Library Day on 5 February 2019. On occasion, a procession of the district public library started at 9:30 am in the morning. After the procession, a discussion meeting and prize distribution were held in the conference room of the public library. Additional deputy commissioner (overall, deputy secretary) Tarafder Md. Akhter Jamil acted as the president and Deputy Commissioner while Sarwar Murshid Chowdhury was present as the chief guest. District Librarian, Azizul Haque Sumon delivered his welcomed speech at the beginning of the ceremony. On 05 February, the District Administration and District Government Public Library organized various activities on the occasion of the National Library Day-2019. The event including discussion meeting and book reading competitions. Ms Sultana Pervin, Deputy Commissioner of the district was present as the Chief Guest in the prize giving ceremony. 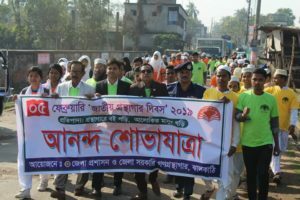 On the occasion of the National Library Day-2019, the district government public library arranged a colourful rally at Bagerhat district at 10:30 am in the morning. There was also a discussion session arranged in the district auditorium with an award giving ceremony. 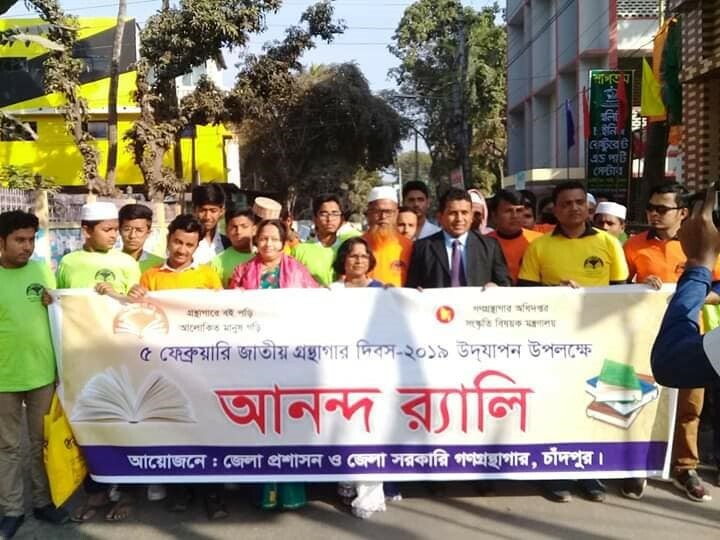 To celebrate the National Library Day 2019, day-long activities were organised at Chuadanga. A colourful procession commenced from the office of the Deputy Commissioner’s in Chuadanga District and end at the Government Public Library. Later on, a discussion meeting was held where Mr Gopal Chandra Das, the Deputy Commissioner of the district acted as the chief guest in the ceremony. Mr Kamruzzaman, Principal, Chuadanga Government College; Mr Azizur Rahman, Principal Chuadanga Model Government College; Mr Md. 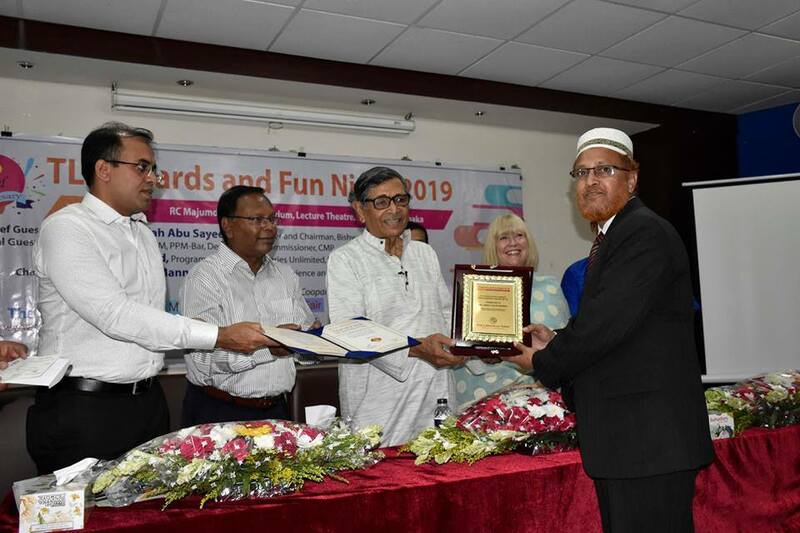 Kalimullah (Assistant Teacher), District Education Officer and Mr Mohammad Yahya Khan (Additional Deputy Commissioner, overall / Education and ICT) Chuadanga were also present in the ceremony. To celebrate the National Library Day 2019, District Government Public Library Magura organised multiple events on 5 February 2019. These include a rally, book reading competition and prize distribution programs. as part of the celebration, a prize-giving ceremony was held at District Government Public Library Magura. Md. Ali Akbar, Deputy Commissioner of the Magura District was present as the Chief Guest in this ceremony. 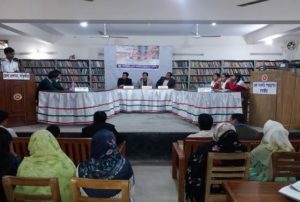 To celebrate the National Library Day 2019, District Government Public Library Joypurhat organised various events on 5 February 2019. This includes an Ananda rally (joyful rally).